Auto repair is the category in which A1 Performance recently won an award. 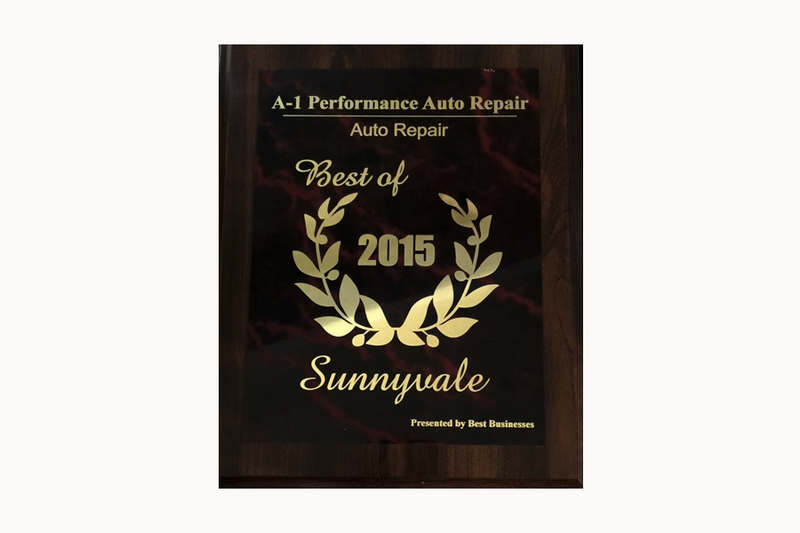 The Best Businesses of Sunnyvale Award Program selected A1 Performance Auto Repair for their excellent business practices for the year 2015. This was the first time A1 Performance Auto Repair was given the award by the organization. Owner, Cliff Do, has been so proud and excited ever since he was notified. He will proudly point out the plaque that hangs in the shop. He is so happy that all of his hard work and his mechanics have been recognized. Auto repair can be a tough business. It is difficult to find great mechanics and it is the mechanic that is the foundation of an auto shop. You need auto mechanics that are not only courteous, but are able to get the job done right the first time. This is why Cliff’s shop participates in the ASE certification program. There is always at least one mechanic on duty that has passed the rigorous testing in automotive repair by ASE. Diamond Certification is another way A1 Performance Auto Repair lets their customers know that they are an honest Sunnyvale auto repair shop. Diamond Certification is an award for a high level of customer satisfaction. Auto repair shops have had their customers called by the nonprofit organization, American Ratings Association. The customers are asked many questions and rate the service they received by the business. After 400 of the shop’s real customers are surveyed, the auto repair shop is rated. Only the upper 10% receive the Diamond Certification award. Not all mechanics at auto repair shops are equal. Cliff Do works hard to fix his customer’s automobiles and makes sure his staff has the same goals. 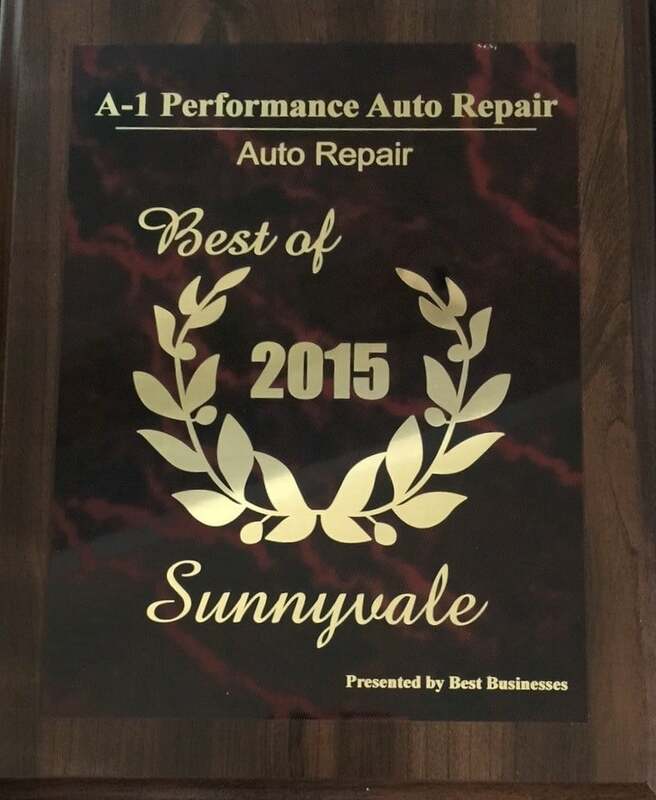 This is why A1 Performance Auto Repair wins awards like this one from the Best Businesses of Sunnyvale Award Program and has such happy customers.